The lazy days of summer are upon us – which for me means lots of time lounging at the pool with the kids, and lots of time thinking about how not to cook dinner. Chopping and tossing? Sure. Roasting or sautéing? Not if I can help it! This is the time of year when Meal Salads really shine – especially no-wilt ones which will keep in the fridge for several days’ worth of snacking. 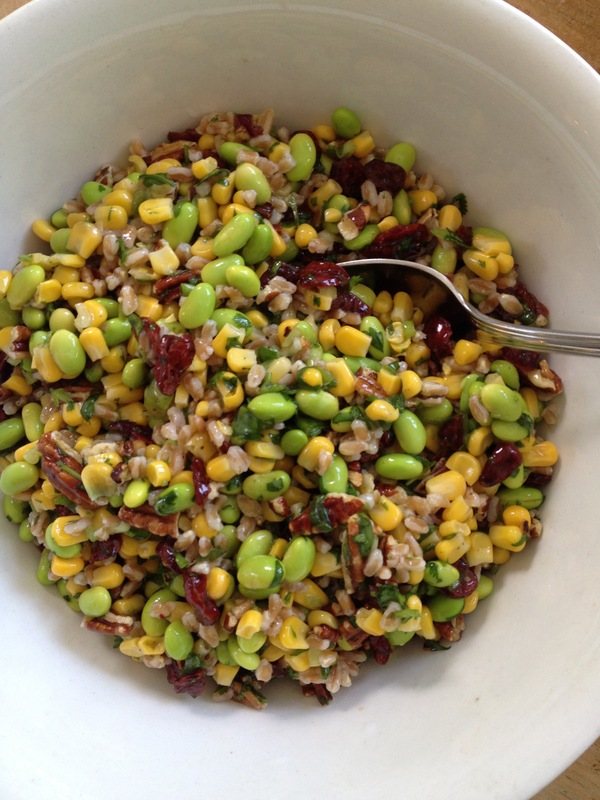 Colorful and potluck-perfect, this Edamame, Corn & Farro combination is my new favorite Meal Salad. To stretch out the other ingredients and make the salad even more substantial, I added chewy/nutty cooked farro (a nutritious, ancient variety of wheat). If you’ve never tried it, now’s the perfect time! Well-stocked grocery stores should carry farro, usually placed near other grains and seeds (like quinoa, which could be substituted here for a gluten-free salad). Cooked pearled farro, up close & personal. 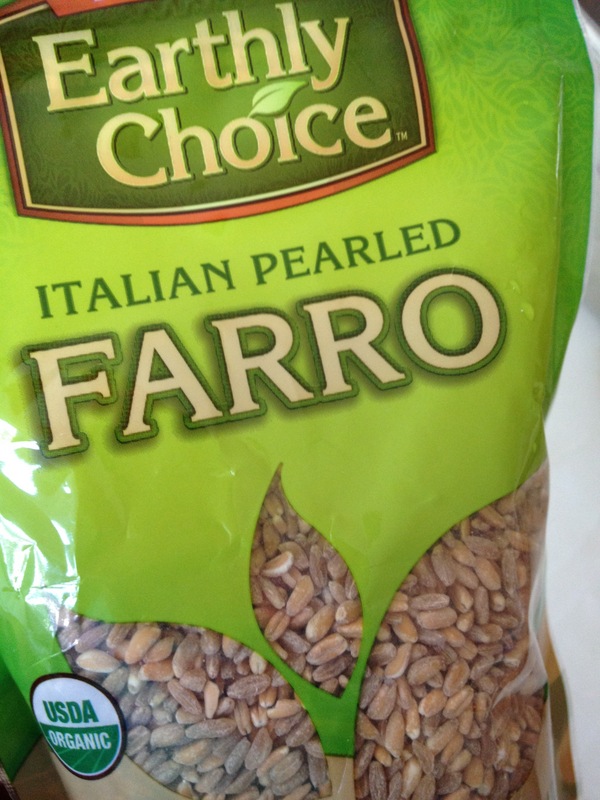 And by the way, if you fear “farro” sounds too foreign for the family, just call it something else. I told the kids (and husband) they were eating Trail Mix Salad; they all loved it. 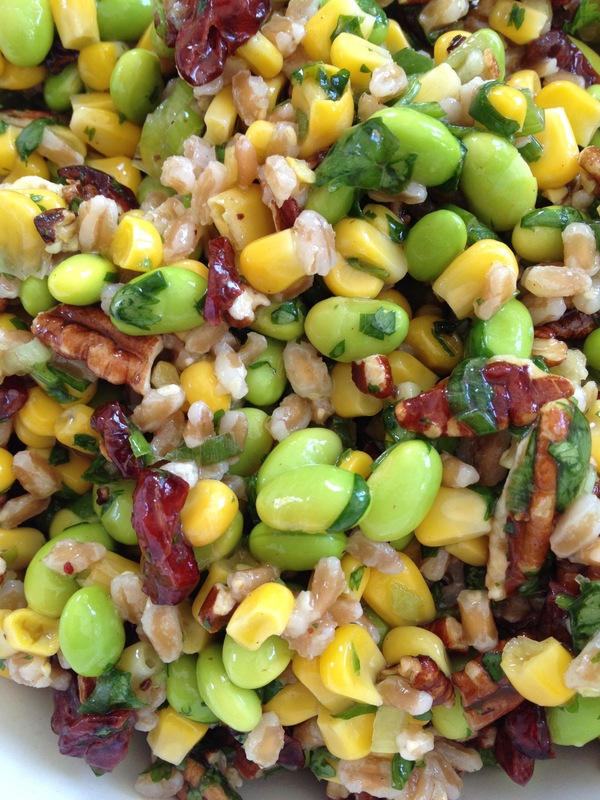 Since the whole point of Meal Salads is to spend less time cooking, I opted for pearled farro vs. whole grain farro. 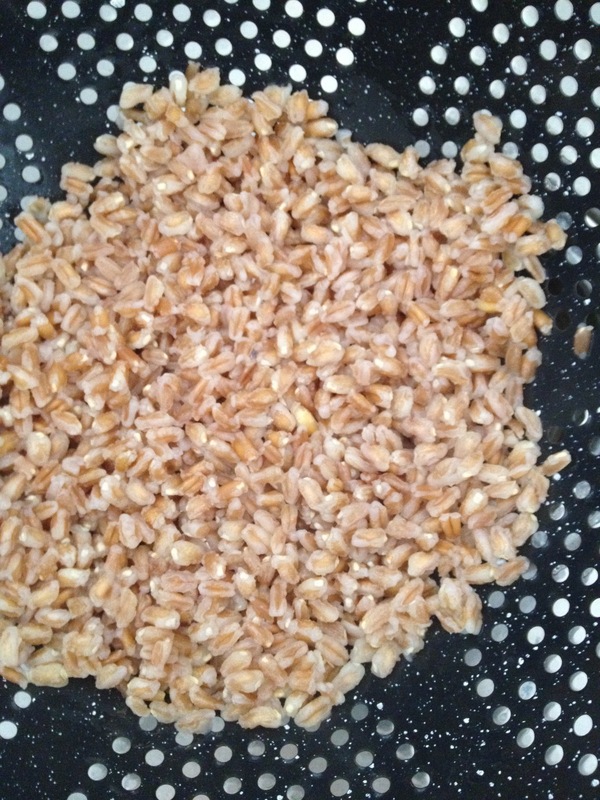 Pearled farro has had the hull removed, which also removes some of the nutrients but makes it cook a lot faster. If you want to use (or can only find) whole grain farro, follow the cooking instructions on the package. 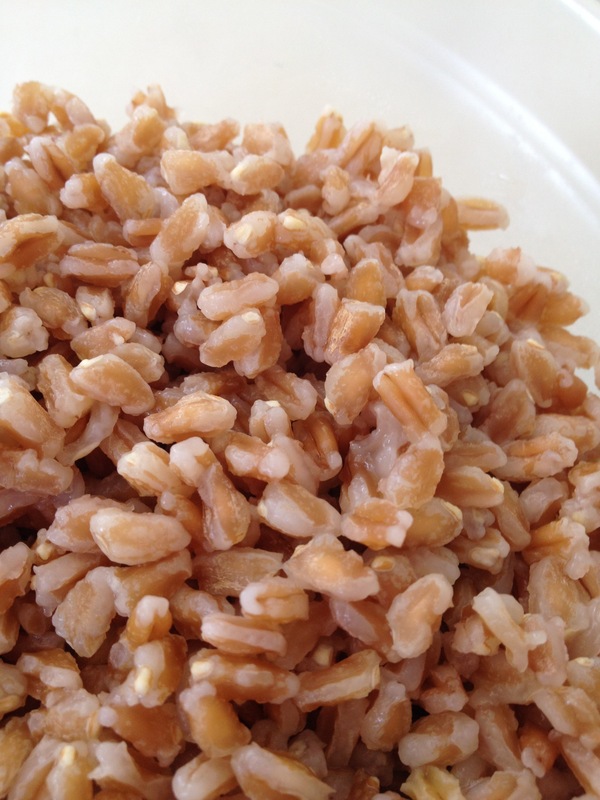 Rinse farro in a bowl of cold water; pour off water or drain in a small-holed colander. In a medium saucepan, bring 3+ cups water to a boil. Add kosher salt and rinsed farro. Cover pan and turn heat to low. Simmer for 15-20 minutes. Drain farro into a colander and set aside to cool. 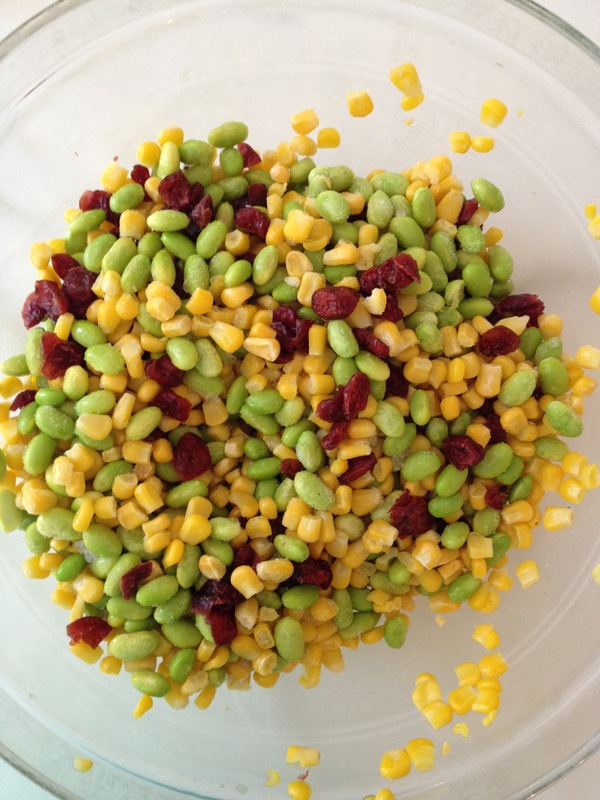 In a large bowl, mix frozen edamame , corn and Craisins. 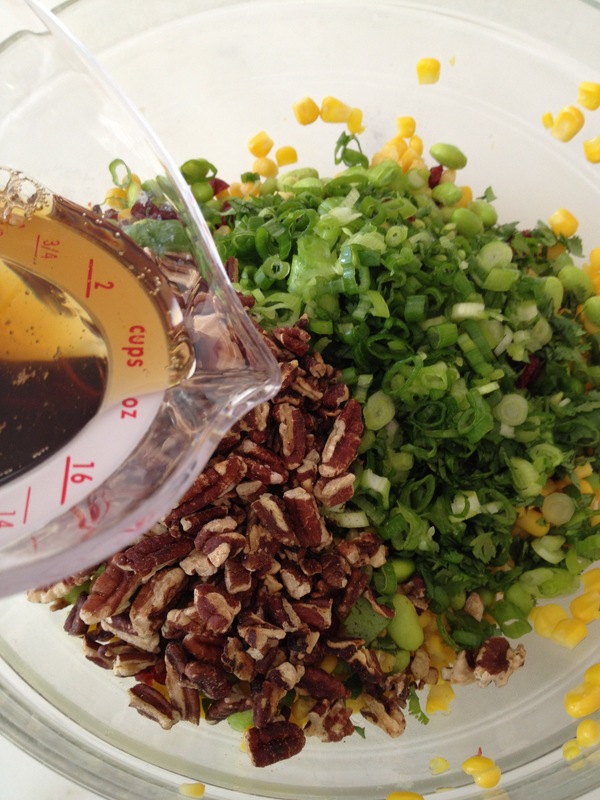 The corn and edamame will thaw while you toast the pecans. 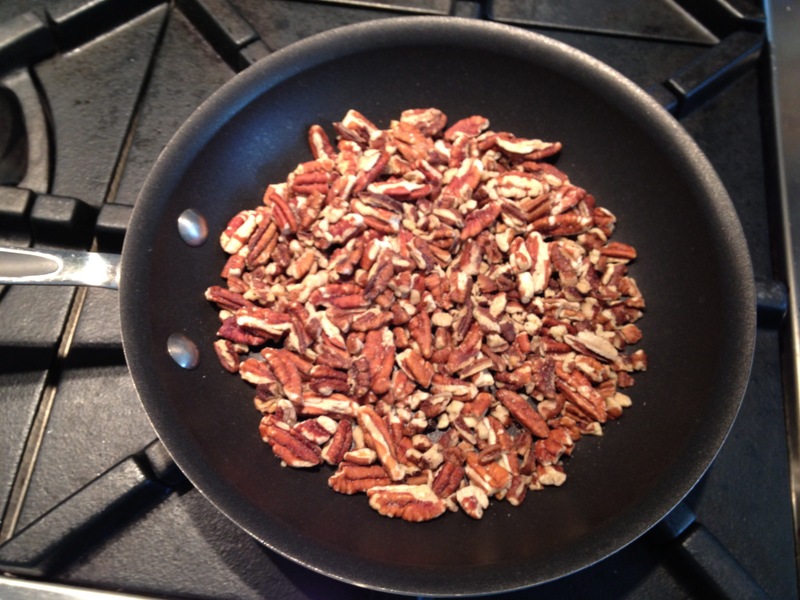 Toast pecans by placing them in a frying pan over medium-low heat. Cook for about 5 minutes, shaking occasionally, until fragrant. (Don’t walk away and start checking emails! Nuts can burn quickly.) Set aside to cool. 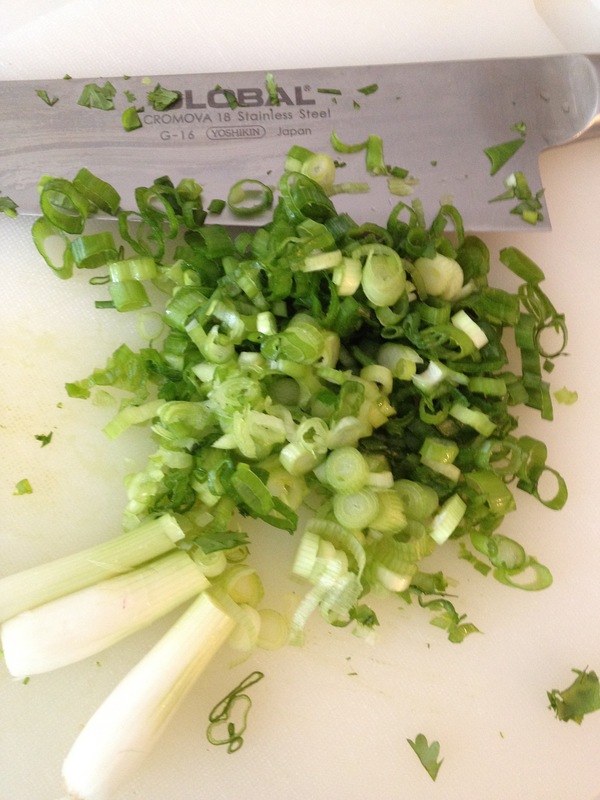 Chop cilantro and scallions and add to bowl along with cooled pecans. 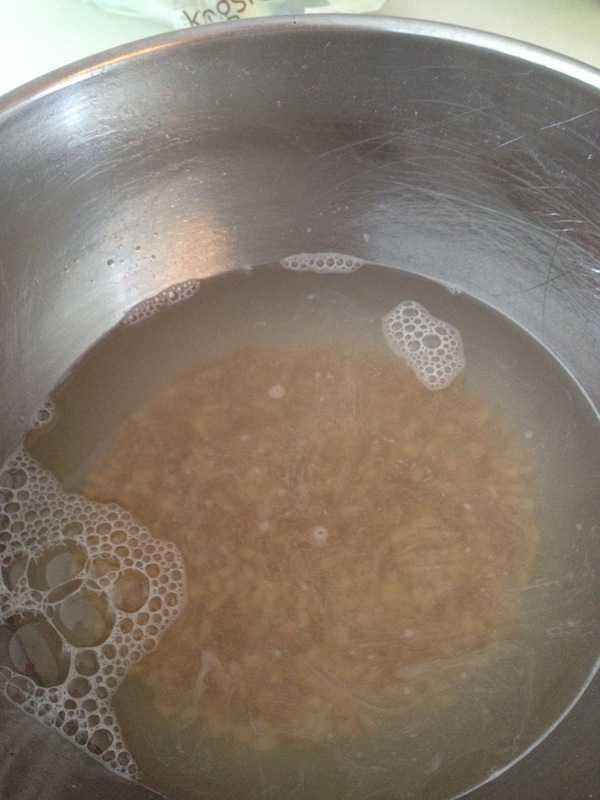 Stir in sesame oil, rice vinegar and kosher salt. Add farro (and a tiny squeeze of agave nectar or honey, if desired) and stir. Best if made at least an hour ahead so flavors can meld. This entry was posted in Salads and tagged main course salads, make-ahead salads, pot luck recipes, summer salads, vegan meals, vegetarian by subeeskitchen. Bookmark the permalink. This sounds DIVINE!! Going to make it tomorrow. LOVE your recipes. How hard would it be to figure out calorie intake with your recipes? Just wondering. Thanks, Stacey! Hope you like it. Sometimes I use the recipe builder at sparkpeople.com. This is a healthful, nutrient-dense recipe but not a low-calorie one. 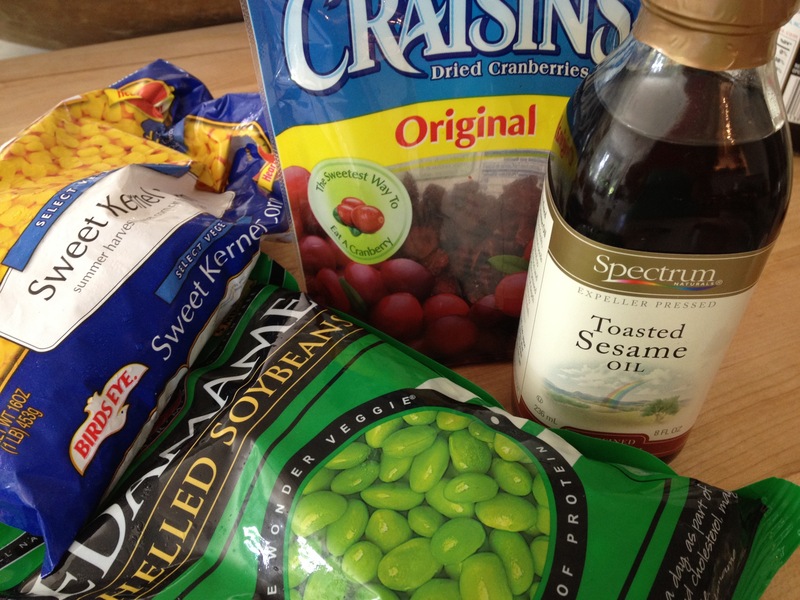 For 12 side salad servings (about 2/3 cup), this has about 280 calories. 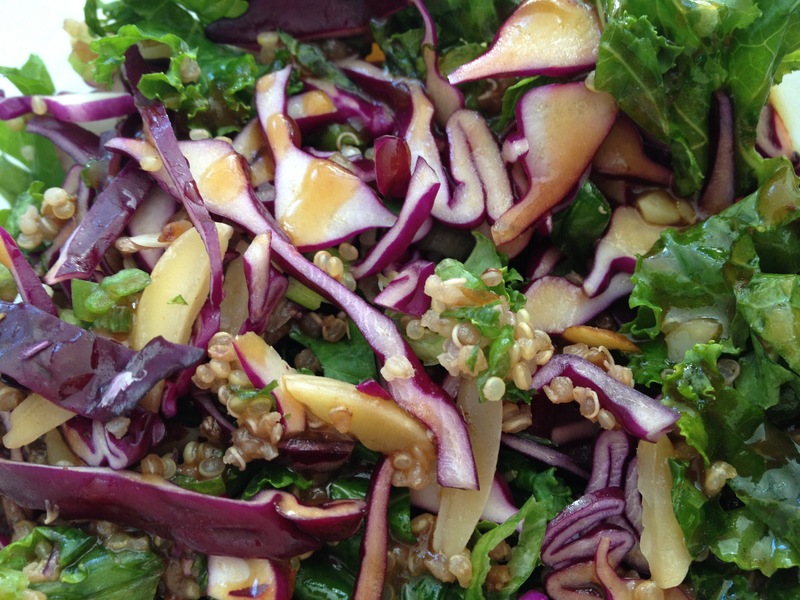 Great veggie salad, Sue,…I’ll try it today! Thanks! Great veggie salad, Sue,….I’ll try it today. Thanks! This looks deliicous! I was in need of a new post and a new recipe from you. Heading to the grocery and serving for dinner tonight. Thanks! Oh, my god, you are my goddess !! I have all those ingredients just waiting to go bad unless I do something with them and BOOM ! Voilà your post ! J’adore ! Sue, I can’t wait to try it. Your kale and Quinoa salad was a hit in my family. Sue! What can I say?? This is awesome! I’ve made your Kale Cabbage and Quinoa salad twice in the past few weeks ( swear to you that Jack could not get enough) and had to try this one…fantastic!!! Please STOP being so perfect! It’s getting annoying. I just made this, it’s chilling in the fridge — I’m wondering why the recipe doesn’t call for the beans and corn to be cooked first? Other than the time involved, are there any drawbacks to these being thawed and raw, not cooked? Very creative! Glad you liked it. A real winner! Made it for a weekend gathering and everyone loved it. Thank you for sharing! I’m wondering if I can make this salad the night before and chill in fridge, for a lunch potluck the next day? Hi! I’m wondering if I can make this the night before and chill it in fridge for a lunch potluck the next day? How well does it sit? Hi – Yes, it’s just as good the next day! Hope you like it. 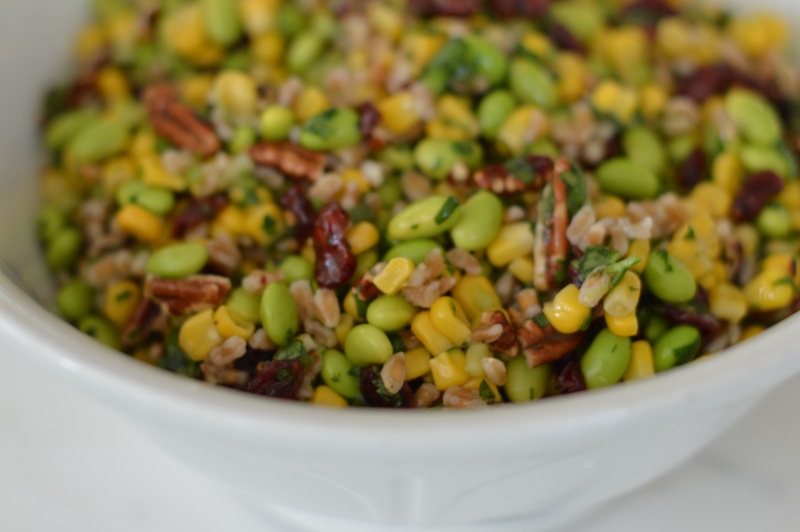 I’ve wanted to try farro for a long time, but never knew what to do with it. Your salad recipe looked delicious so I tried it for lunch today. I must say that it was a fantastic salad! Definitely something I will make again and again. I did sub apple cider vinegar and olive oil for the rice vinegar and sesame oil, it’s just what I had in the cupboard. Other than those minor subs, I made it exactly as the recipe stated. Couldn’t wait so I ate it still warmish — very good! Have leftovers and I’ll see how it tastes tomorrow cold. Thanks for a great recipe! this is incredibly good!!! I couldn’t stop eating it! Sure, but you don’t need to.